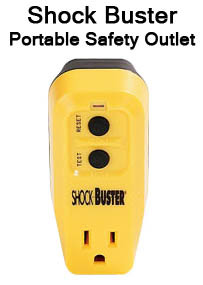 Available in single or a 5 outlet unit, the GFCI Shock Buster is a portable safety outlet adapter that detects electricity current leakage from damaged cords and water, then immediately shuts off power which prevents electrical shock. 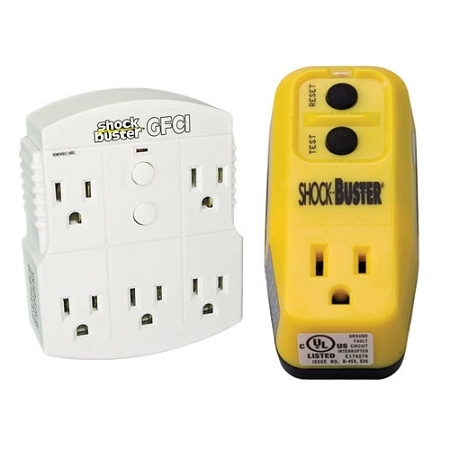 Perfect for TV rooms, garages, and other places where appliances and tools may be used, each GFCI uses a electronic sensing device to provide safety to you and your equipment. 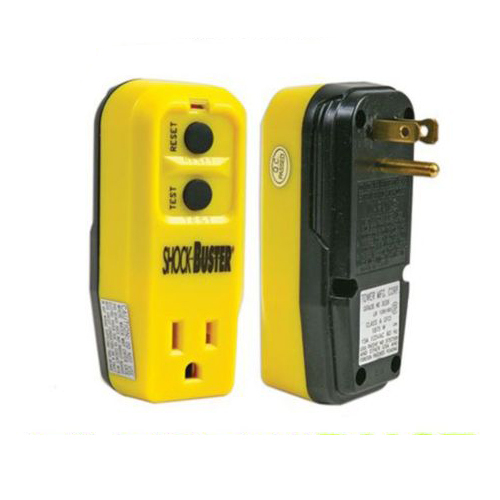 -Fits any standard 3 wire outlet. We have old style bathrooms not permitting in-wall installation of GFCI. 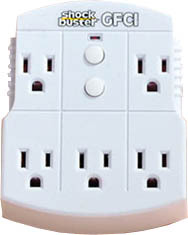 (There is only one electrical outlet.) So the Shock Buster Tower is just the answer. Also it is CSA approved (Canadian Standards Assn.) which makes it legal to use here in Canada. Finally it bears mentioning that the people at Electriduct are truly friendly and helpful. I am glad I got this GFCI. I use these for my aquarium and fountains. wouldn't be without them!